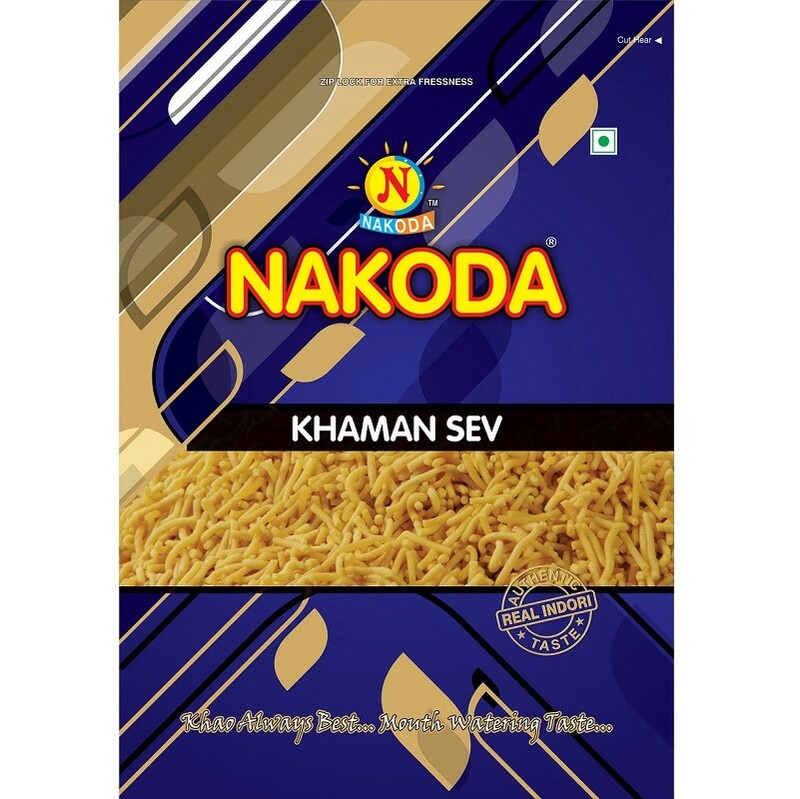 Buy Khaman Sev of Nakoda Foods from Indore online | Authentic Indian Sweet , Savories and Delicacies from the place they originate by Moipot. This particular tasty treat goes wherever the Indoris go. Khaman sev from Nakoda Foods is amazingly popular and when garnished over your favourite dish, it becomes a mouthwatering treat. This Spicy tea-time snack is made using gram flour (besan), salt and spices and is loved by all.